When I was job hunting a few months ago, I decided I was less interested in aerospace/defense and more interested in working in consumer product development. I was particularly interested in working at a consulting firm, because the variety of work appealed to me. The thought of working on a single product line for years on end…did not have much appeal. At many of the product design and consulting firms where I interviewed, I encountered a disturbing trend. I had been peripherally aware of it, but finally encountered face to face: Not many consumer products are engineered in the United States. At one firm, for example, I saw a design for a new model blender. 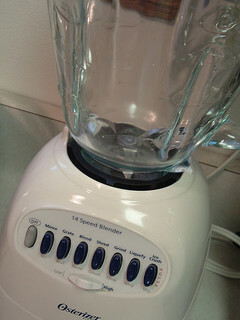 The firm had handled the industrial design, essentially designing the appearance of the blender, it’s contours and colors and the shape and number of it’s knobs. A factory in China, they told me, would do all the engineering work for free in exchange for the rights to the manufacturing contract. I asked how this came to be and learned that at many of these design firms, as it became financially tougher to compete with engineers in China, the firms began to focus on the industrial design aspects; it was just more lucrative. In engineering, you have to build prototypes, which costs money and eats at profits, but the industrial design is nearly pure “knowledge work”. Generating a pretty computer model of a new product costs little more than what you pay the designer and hence has higher profit margins. The long term danger is that you’re giving the farm away. The barrier to entry for a large scale manufacturing operation could easily be on the order of millions to billions of dollars. You need to build the factory, hire workers, establish supply chains, and so on. The barrier to entry for an industrial design is one person with a computer. Once you’ve given up the manufacturing barrier, you’re vulnerable as a business. Clearly, once you can build the products for someone else, why wouldn’t you build them for yourself? “Founded in 1997, HTC built its reputation as the behind-the-scenes designer and manufacturer of many of the most popular OEM-branded mobile devices on the market. HTC clearly decided they could make more money selling their own phones. How long before Foxconn decides they don’t want to build phones for Apple, and decides they want to build phones for themselves? Admittedly, Apple has a recognized brand and about 10,000 designers and engineers on staff in the U.S.; but I venture it’s easier for Foxconn to find 10,000 engineers than it is for Apple to find 2 million factory workers. So as I see it now, a lot of prototyping, first run design, and small volume engineering work is still done in the US. If the work is technically challenging, the engineering is done in the US as well. As the internet continues to make knowledge and education more readily available, I see that “engineering knowledge barrier” becoming less and less significant. What do readers think? Is this just alarmist talk? Or is this a more efficient economic outcome, where the US specializes in designing and China specializes in building? I see you/me/us as being powerless to stop the trend, so there’s no sense whining! If an american company is losing profit by high manufacturing/low transport costs, they’re forced to adapt or outsource. If new competitors arise on the market from outsourcing, isn’t that better for everyone? It creates more force towards an equilibrium of the different qualities, styles and prices desired by consumers. As for the “engineering knowledge barrier,” I think technology’s rate of advancement and higher education requirements will always keep engineers at the forefront of technical design. This is remarkably like what happened/is happening with the steel industry, firms abandon the bottom of the market for the more profitable end, which eventually leads to the low market growing up to eat their lunch. Unless you can continually invent an even higher market to escape to, or radically change the process to increase margin, the same thing will happen, because in the long term the low end and R&D are where the permanent jobs are. And I’m not seeing a radical increase in R&D. First manufacturing moves to China, then Engineering, then seller and buyer. If we continue to ship purchasing power (jobs) offshore to increase profits, how long do you think domestic mrket will last? If our taxes are forced to increase to payback all the debt we have racked-up, what happens to our purchasing power? Even if we pay the tax bill with our dollars that have been inflated from the 24/7 operation of the printing presses, how much will those $ buy. We will be spending all of our $ on gas driven by the demand for gas in China? Why don’t our politicians promise something that they can deliver, like repeal of daylight savings time? I’m voting for that guy. Do not fool yourself into thinking that this is a normal market fluctuation. When we don’t make anything else here, how can we fight a war if the country that makes stuff for consumption here decides that they covet our natural resources – coal, natural gas, scrap iron, etc. ? If our ability to fix our problems (especially ones that we refuse to acknowledge) is not much better than our ability to pass a budget, how are we going to pull out of this nosedive. Where’s the leadership? We are too busy making ever increasing profit. Seems like a positive feedback loop to me. The rails are in view. It’s very much a double-sided discussion; cheap innovation is a market in itself, which doesn’t necessarily have to be dominated by the Chinese. This is not a new trend. I first noticed it twenty years ago in the PTA business when my employer sold a license to Taiwan to build a plant. They sold two more licenses and the Taiwanese built three more plants. Our company got no royalties, nothing from the third plant. Why would they pay us to reproduce something they already owned? This week at the glass shop I noticed the Plexiglas they were selling came from Saudi Arabia. They did not invent this technology; they bought it from us and now our manufacturers are losing sales. It’s not bad enough that they make it over there and sell it over there reducing our exports. Now they make it over there and sell it here, reducing our employment. Next time you are doing some artwork, check the cover page on Photo Shop. Not a John Smith in the group. There are two ways a person’s attitude will go about engineering. Either he will get tired of the work after experiencing the actual field engineering work, or he will love the experience. Engineering is an exciting job some people only lost the appetite in the job because of the stressful work environment.